Over 400 grandparents, including one grandfather who traveled from New Mexico, joined the Mater Dei community for our All Saints Day-Grandparents Day Mass. Following Mass, the grandparents enjoyed time with their grandchildren visiting in the Lampe Commons or touring the campus. We thank all the grandparents who were able to join us for this special event! 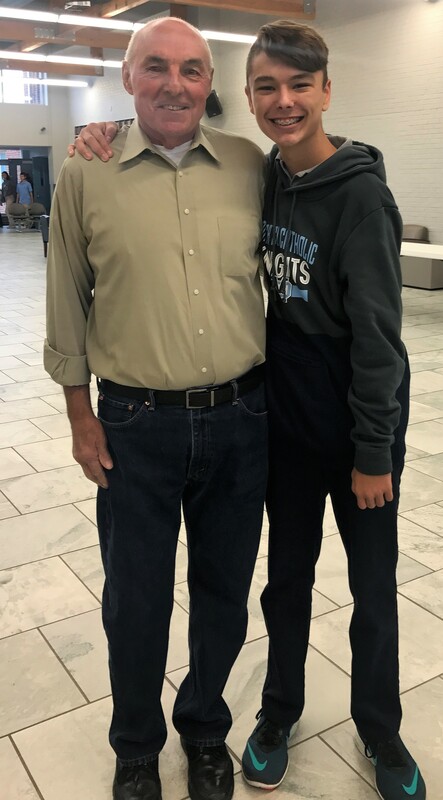 Stan Huegen (left) is pictured enjoying time with his grandson Mason Schrage following Mass. 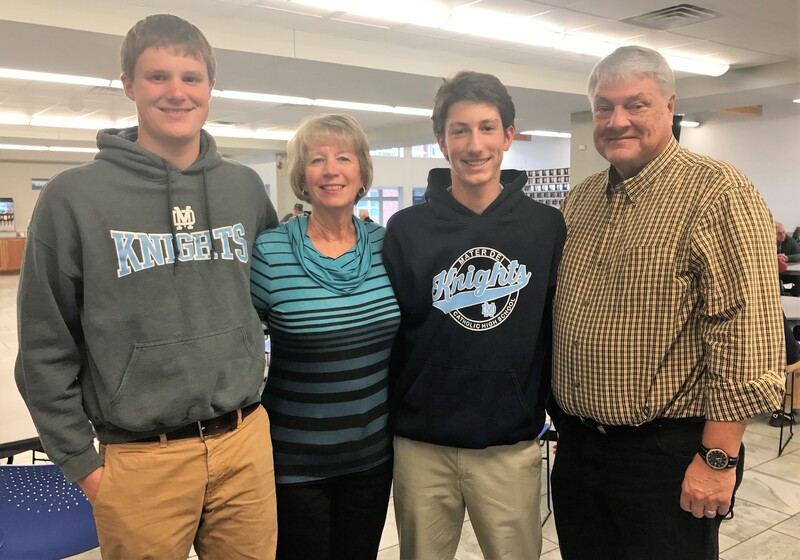 (from left) Mitchell Pollmann, Judy Dorries (grandmother), Carter Ritzheimer, and Glenn Dorries (grandfather) enjoyed time visiting with one another following Mass.